We would like to thank the great team at Calida Homes for making our dream of owning a retirement property in Spain a reality and for making every step of the process from locating the property to moving over a smooth and very enjoyable experience. The miserable UK weather, astronomical cost of living and silly pace of life had us dreaming and trawling the internet constantly looking at some lovely homes in Southern Spain. Last year, 2015, we decided enough is enough and contacted Calida Homes. They had come recommended to us, always a good thing, by a friend who had purchased with them last year. Very quickly, after listening to our requirements, they were able to send over some super options all of which looked perfect. With the use of their videos for each property, which we found so useful, we were able to put together a shortlist that we came over to view in October. Richard and the team at Calida organised all our hotel, all the viewings and lots of information on the areas, property running costs etc. They adopted a patient, professional yet non pushy approach the end result we found a villa which was absolutely perfect. Funnily enough, thanks again to the videos, we had a real favourite before we even arrived and this is the one we went for. We received comprehensive assistance over the completion period, legal advice and regular progress reports. 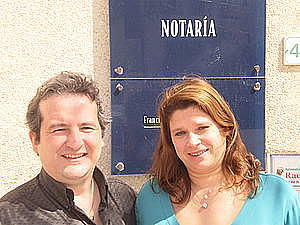 At the notary in Vera, with Calida, we signed the deeds and picked up the keys to our new home in Jan this year. We couldn’t be happier and thanks to all at Calida for all you have done. We would like to thank Serge Baguet , previous Belgian cycling Champion and his lovely wife Sandra for their continued support. Serge along with the Baguet Bicycle Centre are long time lovers of the beautiful Almeria coastline which they use as a base throughout the year for training and cycle holidays. At the recent 2nd home Expo in Gent both Serge and Sandra both stopped by to say hello, sign posters and talk with other cycling enthusiasts who also attended. We have lived in Oldham for many years and visited Arboleas for the first time in Apr 2014. 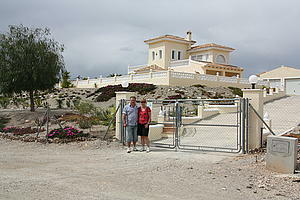 Friends of ours purchased a villa via Calida Homes last year and we popped over to see them in their new home. We immediately fell in love with the location, the relaxed lifestyle and of course the great weather. We were only with them a few days and decided we would very much like a property in the same location. Our friends had purchased via Calida Homes and found their service and after sales to be exceptional so they were the obvious choice/point of contact to help us in our search, Accompanied by our friends we met Richard at Calida who we felt we already knew having watched many videos, in which he chats, on the website beforehand. He sat with us beforehand, listened to what we wanted to achieve then personally selected a number of properties he knew would be suitable. Over a couple of days we viewed 8 or 9 properties and fell in love with one on particular just a short distance from Arboleas town centre. 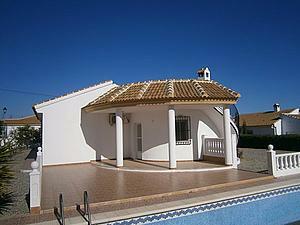 A really beautiful villa with pool and garage and importantly beautifully maintained and private. We had a few things to resolve in the UK but these moved quickly so a couple of weeks later we were able to make a formal offer which was accepted. In the build up and subsequently the advice and support we have received from the Calida Team has re enforced our decision to use them in the first instance. When it became known locally we were in the market for a property we were deluged with contacts via forums, emails etc trying to show us this, that and the other. We found a good long established agent with a long track record, numerous happy clients and stuck with them. We wanted a proper job and proper service but of course this splits both ways and to work you must give person you’ve tasked the opportunity to do their job properly. We weren’t disappointed and in May 2014 we picked up the keys to our new home. Over the moon best describes the feeling and we look forward to many happy years here. Thanks Calida and see you soon. My Wife and I are now living the dream having purchased our new Villa from Calida Homes. We found Richard and his team extremly knowledgeble and very helpful guiding us with our search. They went out of there way to show us around the surrounding areas, expalining the many features and benifits the location had to offer. They made the buying process extremely easy and hassle free. We cannot speak too highly of them and would have absolutely no hesitation in reccommending them. Ken & Trish Los Menchones. Steve and Liz Hellewell from East Yorkshire contacted us for viewings back in June 2013. After looking at a number of options, in terms of locations and property styles we were able to secure them this lovely villa. They picked up the keys at end of September. They kindly gave us the opportunity and more importantly the time to work with them closely until we were able to find the perfect villa. Thanks to you both and thanks for your kind words below ( even the Jack the lad bit) and there was me thinking I came across as rather refined… may you have many years of happiness and enjoyment in your new home. his Jack the Lad image is one to have complete faith in. come and enjoy the different world that we have found..and enjoy life. After many months of research on the Internet we constantly became drawn to the Calida Properties website mainly due to it being very easy to navigate, intuitive and had sufficient written detail, photographs as well as video ‘walk-through’s that simply whetted our appetite’s. We made our selection and I remember emailing Calida with a list of properties that we would like to view that was as long as your arm. Conversing by email to Richard, Louise, Andrea and Summer developed into a conversation on the telephone and on advice from Louise, the arms-length list was reduced to a list of 9 properties based on her expertise and knowledge of the properties they were selling and the area as well as their proximity to our list of needs when it came to shops, bank and bars. We booked our first ever flight to mainland Spain and arrived in Roquetas de Mar for both a holiday and a viewing opportunity. On Tuesday we drove an hour north to Arboleas where we were met by this great guy called Richard. We knew instantly who he was by his voice, as he also does some of the commentary on the on-line videos. Ever smiling and ever so friendly, Richard had mapped out our day and drove us to every property on our list. To his credit Richard provide us with extremely valuable information on property, location, costs, bars, restaurants and ‘filled-in’ the gaps to provide a genuine and realistic flavour for the local area and community. He even fed us at lunchtime when we visited Azabache restaurant. At the end of the week we went back to England, a little confused by the variation we had seen and trying to absorb all the information. You can imagine our dilemma as we loved everything. Over the next two weeks after returning to England, we kept going onto the website as we were constantly drawn to one particular property which we christened ‘The Pink One’. I emailed Richard, without my wife knowing. I think Richard was pleasantly surprised to hear from me, as I think maybe he thought we were not coming back! I enquired if the ‘pink one’ was still for sale…..It was…..so I let my wife know and we made an offer. Richard was brilliant. He negotiated us through the purchase and secured an agreement with the seller. Calida Properties even recommended a list of Spanish solicitors that spoke English that we could ask to undertake the conveyance on our behalf. We arrived a second time in Arboleas, but this time we stayed at Hotel Meson Arboleas. We were looked after very well indeed by the hotel and staff. Once again Richard was a gem. He collected us from the hotel, drove us to the solicitors in Albox and managed us through everything, even to the point of opening our bank account on our behalf at the Cajamar Bank in Arboleas. During the second week, Richard provided us with a second opportunity to visit the villa and gave of his time freely, offering support, encouragement and friendly advice along the way. Our journey was almost over but not quite. In August we again arrived in Spain, this time it was to sign our Contract. Unfortunately, Richard was on annual leave in America but he had left Andrea to support us and she met up with us at the Notary’s office. 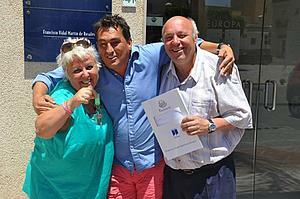 The deeds were duly signed and we became owners of our dream property in Spain. We cannot thank Calida Properties and their staff enough. Special mention must go to Louise who has sent so many emails and made so many arrangements and connections. Likewise, Richard, Infectious in his approach, enthusiastic and energetic provided professional support, advice and invaluable guidance throughout the whole process. Not once did we put a foot wrong, not once were we left to stumble on our own, everything was extremely professional. Thanks to Calida Properties, Richard, Louise, Andrea and Summer. We are now proud owners of a 3 bed, 2 bath villa with a Pool Spanish property in El Prado Arboleas and waiting to live our lives happily in Spain full time soon. Gracias Richard, Louise, Andrea y Summer. Tengo el gran placer a recomendar Calida Homes a todos nuestros amigos aquí en Inglaterra. 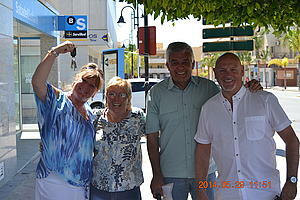 Guy and Annick Deplancke heard about property in Almeria via good friends who had already purchased a house here. 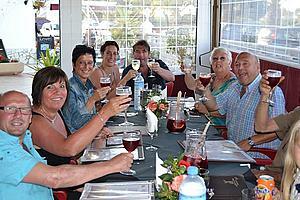 They came over on a flight from Charleroi airport into Alicante in May this year. They had been considering a 2nd home in Spain for sometime and had considered a number of differet locations including Tenerife. We were given a list of their requirements, in terms of the type of property they required, and on arrival were able to show them a good selection of quality detached villas within their budget. 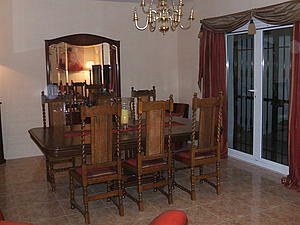 They wanted a high quality, very spacious villa that was private and enoyed lovely views. After two days of viewings Guy and Annick decided on a beautiful 170 mtr villa with pool and garage Just outside of the pretty market town, Arboleas. This was back in May and they have since completed on the purchase and will be arriving mid July for their first family holiday. We helped them with every step of the process. Finding the property, organsisings, lawyes, banks even shopping for furniture. Curently we are organising works converting their garage into a large 4th bedroom. 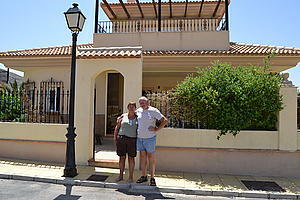 Guy and Annick are a truly wonderful, cheerful and hard working couple who are delighted with their new home in Almeria. Clients first but now good friends. I would like to thank Richard and all the team at Calida for their hard work selling my property pictured here. It took exactly four weeks from going live on the website to getting an offer on the property. Richard is super proactive and was always keen to get people through the door to view the villa. During the four weeks we must have had four viewings a week at least. A top service which I would highly recommend to anyone wanting to sell their place. We are a married couple with two children, one son, he’s 25 and one daughter she’s 22. They both now live on their own now with girlfriend and boyfriend. much sun in Belgium and it’s a rainy country. Ricky wanted to sell our beach flat for years, but I wasn’t much into it. Than we went to “second home” in Gent and we met Richard from Calida homes. He was the only one who could convince us to visit some properties in Almeria as his company had some fantastic properties at very good prices. Together with some friends we made the journey in April of 2013. We got a friendly welcome and we immediatly felt at home. We were suprised to find so many Flemish speaking people over there. Ricky new exactly which property he wanted as before we got to Spain Calida Homes sent videos of all the properties and Google street view of ones we liked.. Of course the reality was more beautifull. Richard is a reliable person and he will help as much as he can. So we purchased. our dream house, it's the one in the picture, and even our friends bought their dream house as they liked the location so much. All paperwork is done by a Dutch lawyer, Rianne, who lives in Spain for many years now. Hopefully we will get to enjoy our “House under the sun” for may years to come. Viva Espana, viva Costa Calida(homes). Thank you Rich ! Back in February 2010 Victor Coronado, a Spanish national, and his wife of 14 years Marion who both live in Grimbergen Belgium finally took the plunge and made an offer for a Spanish property they had fallen in love with and been monitoring for many months via the internet. They had visited Almeria the previous year and fallen in love with a particular area but wanted to organise their finances before making a serious commitment. The owner of the property they liked was called with the offer but just the day before he had accepted another offer, and what are the chances, from another Belgian couple. So back to the drawing board.Victor,43 and Marion, 42 both confess that losing the house they had been watching for months was a big blow. They had decided over a very long period of time that all the pieces of the jigsaw had come together. They were able to take advantage of very low interest rates at home to organise finance, both had good jobs, Victor as a production operator for a specialist American owned paint company and Marion a long serving crew member with Thomas Cook Belgium. Prices in Spain had, they felt reached the lowest level and most importantly they wanted somewhere to spend holidays with their Children, twins Laura and Selina and the youngest Luna. As for most of us with families they were aware that times spent together on vaccation as a family are so precious and that in far to short a time, as the kids become young adults and want to do their own thing, stop being possible. Many at the stage of finding the perfect home and losing out give up but for Victor and Marion this wasn’t an option. They wanted a property that had stunning views, was spacious enough to accomodate the family,and in a peaceful location. A pool was a must have, The price had to be right and, hard to put into words, but the house and gardens had to feel right. A day after losing the first option we sent details of another property based in Arboleas, Almeria. The details and usual photos were accompanied with a very useful video which allowed Victor and Marion to watch in comfort from home before taking the plunge and booking flights. The house was lovely, and better than the one they had lost. A spacious, warm property that had been designed to the highest specifications with beautiful swimming pool and the views they wanted. Flights were booked, a viewing arranged and by the end of March Victor and Marion took possession. Here you can see them at the notary in Vera on day of Completion. Even after many many years and countless property sales, there is still something very special about a day at the notary which results in friends and clients picking up the keys to their new home. After a lot of searching we were able to find Chrisje and Marc a super property just 80 mtrs from the lovely beach in Vera, Almeria. They are just moving in as we speak and huge congratulations to you both and we wish you many years of enjoyment form your new home. After selling our house in England within two days we decided to get on a plane and come to Almeria for four days to look at property. Bit of an impulsive decision as we’d never been to Spain before and other than watching television programmes on moving abroad, we had never even considered it as a possibility. We met with Richard who was so accommodating. We viewed many beautiful villas and although we had an idea in our head of what we imagined we were looking for, Richard listened to our ‘wish list’ and guided us through it, bringing to our attention some points we had never even thought of. A few weeks later we returned for a week with a much better idea of where we wanted to live. He and Wendy supported us through several viewings, highlighting positives and negatives regarding our needs. Nothing was too much trouble and their own love for life turned what could have been an extremely stressful time into a bit of an adventure. We finally decided on a property which was totally different to the original idea of what thought we would like and moved in on 1st December 2016. Yes it needs some TLC but we have time to make it ‘OUR place in the sun’. Calida Homes were supportive and unbiased throughout and even though we are here now we can still call Vicky or Louise in the office for advice for silly things like ‘how do we get to the post office’. They even organised a hire car for us until we get our own. Richard and Wendy not only helped us achieve our dream, they have become our friends. Our advice to anyone reading this is don t hesitate, call Calida speak to Richard and come over, see for yourself. They will take you through the whole process of moving here, not just buying the property but all the boring legal requirements. If you think about it too much you’ll never do it. Thank goodness for being impulsive, it’s the best thing we ever did. Thank you Calida from the bottom of our hearts for helping us achieve what we know is going to be a fabulous retirement. Paul and Chantal Rammakers from Brussels started looking at the possibilty of buying a property in mainland Spain back in 2010. At the time both were working in pressured jobs but retirement was looming and they very much wanted a 2nd home in Spain that they could come to escaping the cold and wet Belgian weather. As for many of our Belgian clients the pace of life at home was often to hectic and pressured so not only did they want some well earned sunshine but also to enjoy time together in an enviroment where the pace of life was considerably more tranquil. Paul a thoughtful and methodical guy spent many many hours reseraching possible Spanish locations on the internet. Malaga, The Costa Blanca came up for consideration but time and time again he kept coming back to Almeria. The great climate, the style of houses, peacfulness, wonderful countryside and of course the prices resulted in him and his wife Chantal coming to visit us on an inspection trip at the start of 2011. We took them to visit a number of different towns and properties but one situated in the very pretty town of Oria really caught their eye. It was a very high quality two storey villa that had a well kept garden, swimming pool and beautiful views. Better still despite being private it was a very easy walk to the town and the thought of being able to walk just up the road to a nice bar-cafe to enjoy a cold beer and some delicious tapas was what clinched the deal. The purchase went ahead smoothly but because of work commitments and the sellers wanting time to find another property in Spain it was negotiated to take place over a 10 month period. 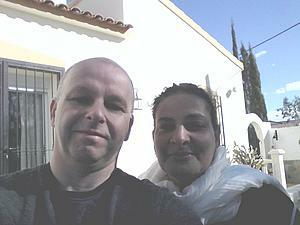 Paul and Chantal have now retired and in July 2012 arrived in Spain with two of their friends to enjoy their new home. Because the property had been empty for quite sometime of course some interior changes need making and the garden needs bringing back to its best but they are both enoying doing this work and making the house a home. Of course they are also making the most of the great weather and have many trips planned to visit other places in Spain. The picture shown is them at the gates of their Spanish dream. We wish them many years of happiness. Marc and Chrisje Verniers from Sint-Katelijne-Waver already living for a long time on the Belgian coast in Knokke-Heist. 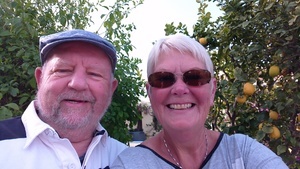 Were newly retired and had been looking forward to a home for some years under the Spanish Sun. They were initially planning to reside on Tenerife but after lots of research eventually they chose for the Spanish mainland province of Almeria. The property on Tenerife were much more expensive, and the flight there a lot longer. They decided the quality of life is nowhere better than in Almeria. They were looking for a suitable location for many weeks to via the internet and decided to take the plane in March 2012 and to visist some properties with us. On the second day of their visit we found them a lovely detached villa with four bedrooms and a swimming pool in a quiet hamlet just outside Arboleas village that had lovely views of the countryside and the local rambla. In June 2012, the sale closed in Vera at the notary and in July they came, along with their granddaughter Senna, here for the first time on vacation. They allowed us to help them with the entire purchase process and are very satisfied with the service we provided. They want to establish themselves here permanently as soon as possible so they can enjoy the tranquillity and the Sun. Marc & Chrisje have become very good friends of everyone at our office. May 2013 at Pueblo Laguna bar and restaurant on Vera Playa saw the first team talk of the Arboleas Petanque team. The jet air flight was packed as founder members from all over Belgium, all home owners in Arboleas, flew in for this important date on the Arboleas social calender. The brain child of Mr Marc Verniers and Filip Buedts who wish to form a team of experienced and talented players capable of taking on the strong Belgian teams based in San Juan de Los Terreros. The meeting started successfully enough but sadly. after one to many jugs of Sangria, lapsed into chaos. Other members present Ursula Ludwigs, Christine Spaenjers, Chrisje Verniers Henderickx, Annick Verlinden and from Calida Homes Mr Richard Clarke are all accused of not taking things seriously. Another meeting will need to take place and hopefully on this occassion some progress will be made. A full events calender will follow shortly but Sangria, Duvel and all other alcoholic beverages will be prohibited at any future meetings. Live locally or in Mojacar, Los Gallardos, Vera and interested in walking football then why not get in touch with the Calida Homes sponsored team. FC los Amigos. Pop along to the Los Gallardos football pitch and see what it´s all about. A fantastic very sociable sport actively played by the over 50´s. A great way to get in shape , meet new pals and with many great spin off social events to boot. Get in touch with the team via their website https://www.fclosamigos.com/news-events/ and see why this has become such a universally popular sport. In the summer of 2013,i decided against buying another investment property in England,and thought about buying in Spain instead.I contacted two agents,one of which was Calida homes.I emailed both regularly to say when i would be coming to Spain and our requirements.I had regular phone calls from Rich (Calida) giving me information and letting me know when he would be available to do viewings with us.We made arrangements also with tthe other agent.Unfortunately when we arrived at their office--we were met with a notice on the door stating they were away for a long w/end! !Great start i thought--but went along to their office and had viewings with them.The next day it was Rich's day for viewings--complete contrast!Just so friendly and interested in what we were saying--he listened,took us to see the properties we had asked to view--whilst doing this,at various locations,we were met with different people calling out to Rich,stopping to chat etc--they told us they had bought properties from Calida via Rich.Our day was finished off by Rich stopping and showing a property that was not on our list. When we stopped outside it was a can we afford this moment?? delighted to say we have now completed on the property,and have to say,Rich was amazing--sent us measurements of sofa's at the property,gave us details of a guy to move our stuff.I cannot say how fab this man is--nothing is too much trouble for him,he has looked after our interests extremely well,we realise how easy himself and our solicitor made everything for us,we would also like to say a big --thank you to Louise and Andrea who were always available to help and advise us when Rich was not there(which wasn't often!!) and lastly say a big -thanks to Rich's wife, I am sure she never gets to see him,but i am sure she also knows what a great guy he is.Look forward to seeing you all when we are out again on the 18th of Jan.
En mai 2013 nous avons contacté Calida Homes par internet, car Ingrid a vu une maison qui lui plaisait. Nous avons tout de suite été pris en charge par Richard qui a très vite compris quel type de résidence on souhaitait. Après avoir visualisé quelques maisons qu’il nous a présentées par mail, nous nous sommes rendus sur place en juillet. Richard s’est chargé des réservations d’hôtel et a organisé dans les moindres détails une journée de visite de maisons. Seul souci : les propriétaires de la maison pour laquelle Ingrid avait eu un coup de cœur étaient absents. Mais tout au long de la journée, Richard n’a pas cessé d’essayer de les joindre et en fin d’après-midi nous avons pu la voir et maintenant …. c’est la nôtre, grâce à lui. Richard a toujours été là pour conseiller, expliquer, il s’est décarcassé pour nous trouver un traducteur, un avocat, … il nous a pris en charge et ne nous a jamais lâchés même après la vente. Le service après-vente, c’ est du sur mesure. Quand on revient chez nous, Richard est là avec toute son équipe et ils répondent toujours présent. We first met Richard at the Brussels expo of the second home residence in September 2014 he had on site Ivan who is a local Belgian lawyer and who was available to answer any legal questions we may have had. We were so enthusiastic by their approach that Calida Homes was the only stand we visited. We had planned to travel to the region of Arboleas/Albox around November 2014 to go and check out the area and some of the villas. Calida Homes sent weekly newsletters with villas available in that region. We knew very well what we were looking for, and so after a few exchanges of emails with Richard, he drew up a list of properties for us to visit. By the time we got to Arboleas we had no special intention of buying straight away but wanted more to get a feel of the life there and the houses that were on the market. After two days of visiting houses with Richard, he made us feel very comfortable, so much that we even decided to make an offer on one of the houses. 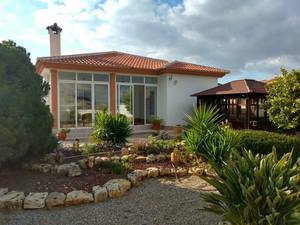 It is now early February 2015 and we have just spent five days in our new house in Arboleas, it is absolutely beautiful and we love it there. Richard and Ivan make a great team together, and I would like to thank them both plus the entire team at Calida Homes. We will try and go there often, so we are bound to see you guys again very soon! 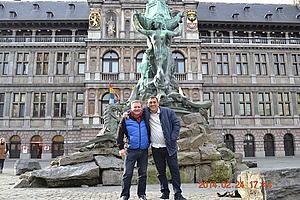 Many thanks to our good friend Mr Rik Alpaerts for yesterday showing us around the very beautiful city of Antwerp. We walked a tunnel under the river, took a tram, sampled the world best beer, visited he amazing Chocolate Line and a lot more. Rik a great guide and will certainly be back to Antwerp soon.